Pope Francis’ scheduled Mass in Uganda in observance of the 50th anniversary of the canonization of the Ugandan Martyrs will help revitalize the faith of one of Africa’s youngest Churches, a local Church official said. In an interview with international Catholic charity Aid to the Church in Need (ACN), Msgr. John Baptist Kauta, secretary general of the bishops’ conference of Uganda, described how the country’s violent past has sown the seeds for the rise of a hopeful, vital Church to emerge. Pope Francis is scheduled to arrive in Uganda Nov. 27, 2015 and is due to celebrate the special Mass the following day in the city of Namugongo. Also on the agenda is a meeting with catechists and teachers in Munyonyo. Father Kauta said more than 2 million faithful are expected to join the Holy Father in honoring the 22 Catholics who died for their faith in the 19th century. 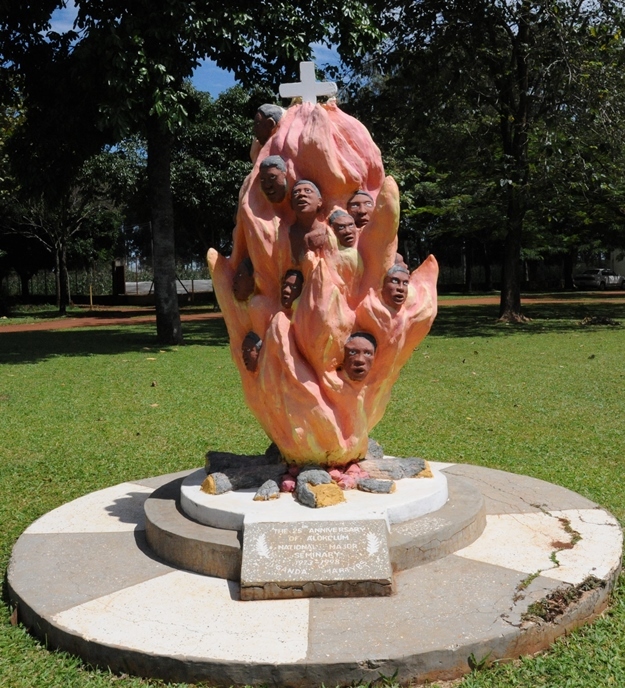 The prelate also stressed that the theme of the Pope’s visit to Uganda–‘You Will Be My Witnesses’–is taken from the Acts of the Apostles 1:8, which deals with the subject of martyrdom. Father Kauta said the visit was an excellent reminder of the universality of the Church, which is particularly important for Uganda, where the Church is relatively new in some of some of the nation’s states. Pilgrims from Kenya, Tanzania, Australia and the United States are expected to make the journey to see the Pope. The spotlight on Uganda prompted by the papal visit will be a boost to the tourism industry, while Father Kauta hopes the visit will also encourage interreligious dialogue; he noted that Uganda’s Muslim community had passed on their warm wishes for a successful papal sojourn in Uganda. The Ugandan Church relies on significant outside support, including aid from ACN in the form of means of transportation for many of the country’s 14,000 catechists who are responsible for ministry in enormous parishes in the countryside. Aid to the Church in Need also supports Ugandan priests through Mass stipends, and is backing a number of construction projects. In 2014, ACN provided the Ugandan Church with close to $1M in aid earmarked for some 90 projects.